More news as it comes! But whatever the news to come, this is a very exciting start indeed! Cheers! I nearly forgot to add: exciting news from one of our guests for The North American Discworld Convention 2011, illustrator Stephen Player. Stephen has send us the following regarding a new Discworld board game! 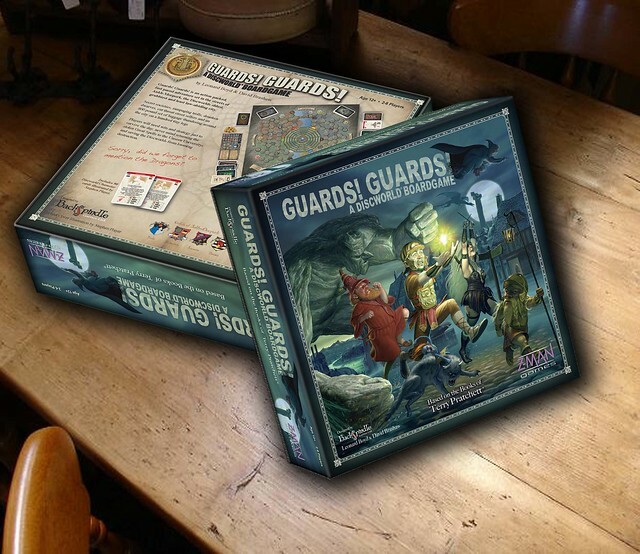 Z-Man Games to release Guards! Guards! a Discworld® Boardgame. 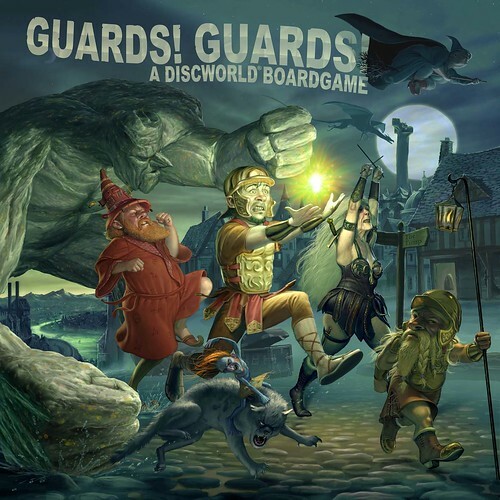 Based on the best selling books of Sir Terry Pratchett®, Guards! Guards! truly captures the almost addictive mix of myth, magic and comic adventure that will instantly feel like home to the many thousands of Discworld fans out there and give a warm, fluffy welcome to those who have yet to dip their toe in the veritable ocean of wondrous workscreated by one of the world’s best selling fantasy authors. The game sees players taking on the role of newly recruited members of the Ankh-Morpork City Watch. With the Eight Great Spells missing from the Unseen University® the future of the city hangs in the balance. Each player is tasked to collect and return a number of the spells to the University before the news of their loss gets out and chaos ensues. On their quest to save the Discworld, the players are faced with the many hazards of everyday life in Ankh-Morpork - the Discworld’s oldest, grubbiest, and least law-abiding city. Some perils are thrust upon them by the hand of fate. Others are directed at them by their opponents in the shape of sneaky guild abilities, or skulking saboteurs, secretly planted to disrupt their attempts to return the Great Spells to the Unseen University. Add to this the constant threat of being trampled by the Luggage, an 800-pound magical chest thundering endlessly through the city on hundreds of little legs, and the players soon learn that life on the Discworld is not always easy. And just when you thought things couldn’t get any worse. “The Elucidated Brethren of the Ebon Night,” a secret society with a mind to overthrow the governing powers of Ankh-Morpork, put in motion their plan to magically summon a Greater Dragon to the city. With over 90 characters cards illustrated by Discworld Artist Stephen Player, each carrying a short quotation defining the character in the author's own words, the players are quickly immersed in the magical and wonderful world created by Terry Pratchett. New to the scene, designers Leonard Boyd & David Brashaw bring a fresh approach to this boardgame. Both long time game fans and avid readers of Terry Pratchett’s books, the unlikely team of talented graphic designer Leonard and three-time Karate world champion David, have produced a game that is visually enticing, strategically challenging, but above all great fun! Two Discworld boardgames out this year! The other being Ankh-Morpork The Game from Treefrog Games. We should hopefully get to trial that one at Nullus Anxietas 3, but I'd heard nothing about the Guards! Guards! one until now! Speaking of which... one NA3 forum-goer posted a link to the Librarian/Death of Rats toys on the NADWCON website... any idea if they would be able to reach Antipodean shores in time for NA3? The board games sound so fun! Man, I am so excited about the Good Reads adaptation you have no idea! I just hope they cast it decently. 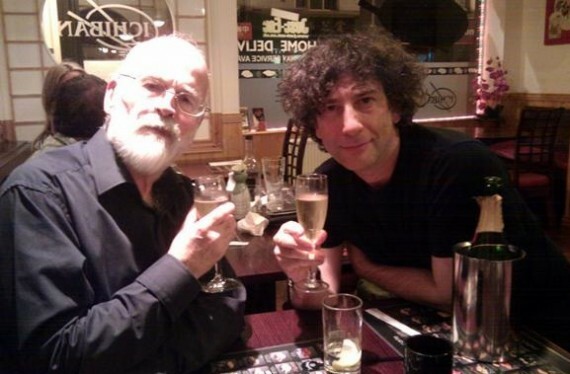 MY BRAIN CANNOT COMPREHEND THE AMAZINGNESS THAT IS THE GOOD OMENS TV NEWS. ASJHAKSFHAKSHFKAHSFA. THAT'S ALL I CAN EVEN SAY ON THE MATTER.